The arrival of the Saljūq Turks marks a new era in Persian history. There had been Turks in the Islamic world before the eleventh century – the caliph’s mamlūks in Baghdad, such dynasties as the Ghaznawids – but these were all, in origin, slaves who had been recruited as individuals. In so far as they had held power, they had acquired it by taking over a going concern from the inside. The Saljūqs were different. They conquered Persia, and other lands, from the borders of the Dār al-Islām; they were still nomads, and they were still organized tribally. Their conquest marked the beginning of Persia’s period of Turkish rule, a period which lasted until the early sixteenth century and even, in some sense, until 1925. The Saljūqs were a tribe of Ghuzz or Oghuz Turks, named after their leader, Saljūq (or, in a more Turkish spelling, Seljük [Seljuk]). We first hear of them in the second half of the tenth century, when they were living on the lower reaches of the River Jaxartes in Central Asia, at the edge of the Dār al-Islām proper. At that time they were converted to Islam, apparently as a result of missionary work on the part of travelling ṣūfīs. Such ṣūfīs professed a personal and emotional mystical faith. At this stage they had only loose associations, though the Saljūq period saw the foundation of convents for them, and also of orders or systems of organization (ṭarīqa, “way”). Each of these had its own form of instruction, initiation and ritual, and each its hierarchy of teachers. Early Saljūq Islam was probably, then, of a popular kind likely to be viewed with suspicion by the orthodox Sunnī ʿulamāʾ. It may have included elements that were closer to the traditional beliefs of the Central Asian steppe than to “official” Islam; though it is noticeable that when the Saljūqs had established themselves in Persia and Iraq, the Islam they supported was of a very orthodox Sunnī type. Around the end of the tenth century, the Saljūqs gained a foothold in the Islamic lands. They were hired as mercenaries, first by the Samanids and then by the Qara-Khanids, the Turkish dynasty which had established itself in the former Samanid territories in Transoxania. The Saljūqs settled in that area, the land between the Oxus and Jaxartes rivers. In 416/1025 Maḥmūd of Ghazna, who also hoped to find them useful, installed some of them in Khurāsān, to the south-west of their earlier home. But this group behaved in a disorderly fashion and was driven out. The Ghaznawids, as we have seen, ran into difficulties after the death of Maḥmūd in 421/1030, and during the ensuing disorders the Saljūqs as a whole were able, in 426/1035, to move into Khurāsān, led by two brothers, Toghril Beg and Chaghri Beg. It would seem that Saljūq rule did not strike the population of Khurāsān as less acceptable than that of the Ghaznawids. At any rate, the province speedily submitted. Nīshāpūr was taken in 428/1037, and later became the first of the Saljūq capitals. Open warfare with the Ghaznawids culminated in the battle of Dandānqān in 431/1040, at which the forces of Masʿūd of Ghazna were routed. The Ghaznawids withdrew to their Afghan lands and, ultimately, to India. The Saljūqs were the new masters of Khurāsān. 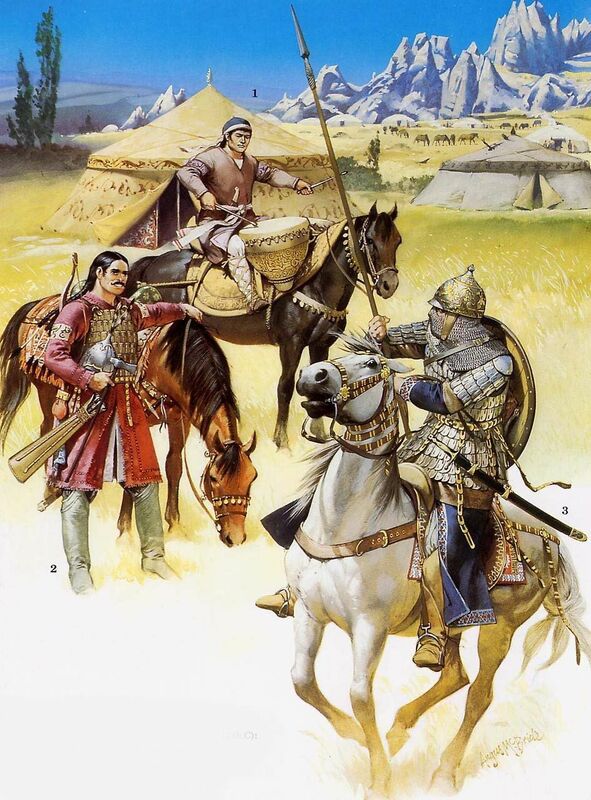 The two Saljūq brothers ruled together till the death of Chaghri Beg in 452/1060. This was in accordance with the Turkish conception of the nature of political sovereignty which they had brought with them from Central Asia. The Turks and Mongols of the steppe, organized as they were as nomadic tribes, saw sovereignty as the possession more of the ruling family as a whole than of any one individual member of that family. Hence, while the overall supremacy of Toghril was accepted, it was equally perfectly regular that when he headed to the west in order to extend Saljūq rule further into the Dār al-Islām, Chaghri should remain as ruler in Khurāsān. The division of power between the various members of the ruling family was later to be a cause of strife, but this initial arrangement between the brothers appears to have been amicable enough. After the expulsion of the Ghaznawids from Khurāsān, the Buyids in western Persia and Iraq were the major enemy. They were soon eliminated, though they survived in some areas for a few more years as subject rulers to the Saljūqs. Toghril entered Baghdad in 447/1055, and the capital of the caliphate was at last restored to demonstrably Sunnī rule. So far as the ʿAbbasid caliphs were concerned the change of secular ruler was distinctly for the better, though this did not mean that relations between them and the Saljūqs were always free of tensions and disagreements – even, at times, breaches in relations. The caliph al-Qāʾim conferred on Toghril the title of sulṭān. There was, and is, much discussion as to quite what was meant by this. An older generation of scholars, accustomed to concepts deriving from European history, liked to suppose that Toghril had become emperor to the caliph’s pope: that we see here a clear division between the spiritual and the secular power. More recent scholars have emphasized that the church/state distinction did not exist in medieval Islam, and moreover that the caliph, though certainly recognized as head of the Islamic community, had few of the powers of the pope: for example, he had no authority (at least in this period) in the matter of defining doctrine. Muslim thinkers at the time, too, were aware of the difficulty. The leading intellectual of the day, al-Ghazālī, carefully formulated a theory that would accommodate the institution of the sultanate acceptably within the boundaries of Islamic thought. His approach was to argue that the sultanate was not separate from the caliphate, or imamate: it should be seen, he contended, as a part of the imamate. Thus the risk of positing an illegitimate division between spiritual and secular government and authority was, though possibly only notionally, avoided. This was fair enough as far as it went, but it did, perhaps, come perilously close to envisaging the sultanate almost as a medieval papal propagandist might have wished to see the position of the Holy Roman Emperor: as the secular arm of the caliphate. Whatever the theory might say, and whatever the situation may have been in the early days of the caliphate, historians do seem to be to some extent arguing against the political realities if they deny that there was, in practice, a distinction of function in this period between caliph and sulṭān: a distinction which, at least up to a point, looks suspiciously like one between the ecclesiastical and the secular spheres. It is also perhaps worth remarking that Islamic historians, in their wholly justifiable enthusiasm for discouraging misleading parallels between Islamic society and medieval Europe, have sometimes tended to exaggerate the extent to which medieval Christians drew a church/state distinction that was as sharp as in later centuries. In the central Middle Ages (to use, again, a European term of limited usefulness for the Islamic world), the relative positions of “church” and “state” in the two societies, though not identical, were more like each other than the experts on either side sometimes appear to imply. By around 451/1059 Saljūq rule was established, reasonably securely, throughout Persia and Iraq, as far as the frontiers of Syria and of the Byzantine Empire in Anatolia. Toghril’s capital was at Rayy, a few miles from modern Tehran (the capital was later transferred to Iṣfahān). Chaghri Beg’s death in 452/1060 had left his brother as sole ruler, and when Toghril himself died in 455/1063, he could legitimately have claimed to have founded an empire. It was a remarkable feat for the chieftain of a tribe of Turkish nomads to have achieved in less than thirty years. Toghril Beg left no sons. He was therefore succeeded by his nephew, Chaghri Beg’s eldest son, Alp Arslan. This was not allowed to pass without opposition from other members of the family and their supporters, but Alp Arslan was the most experienced of the contenders; and, like his father, he had a formidable power base in Khurāsān. Alp Arslan’s reign was one in which the newly established Saljūq empire was stabilized. Even at this quite early stage, it had become apparent that to base the state on the military support of the Ghuzz tribesmen who had originally brought Toghril Beg to power was potentially hazardous. They were certainly highly efficient cavalrymen but they did not, except in wartime, take kindly to discipline; and they were not in the least inclined to submit to the central government of an Islamic sultanate. The tradition of the steppe was quite different. According to this, a tribal khān would be freely elected, or acknowledged, by his tribe; and if he were to secure acceptance, he would need to be a member of an appropriately noble family. Which member of such a family would be accepted as khān would often depend on the tribe’s judgement of who was most suitable. A prospective khān’s suitability might well be determined by his efficiency in wiping out or otherwise neutralizing the other contenders. Once accepted, he could expect to be obeyed in war, but in peacetime, while he would occupy a position of honour, his interference in the affairs of his tribesmen would not be welcomed. Such a system of extremely limited government worked well enough in the nomadic environment of the steppe, but it could hardly be appropriate to the very different demands of a sultanate which purported to rule the largely settled and heavily urbanized lands of Persia and Iraq. In these circumstances the state required a military force on which it could permanently rely. Alp Arslan therefore created a standing army, much of which was made up of slave (mamlūk, ghulām) troops, also of Turkish origin, after what had become the normal pattern in the central Islamic lands. This army was probably about 10,000–15,000 strong. Such numbers may not seem very large, but it has to be remembered that a standing army, unlike a tribal levy, had to be paid, and paid all the time. 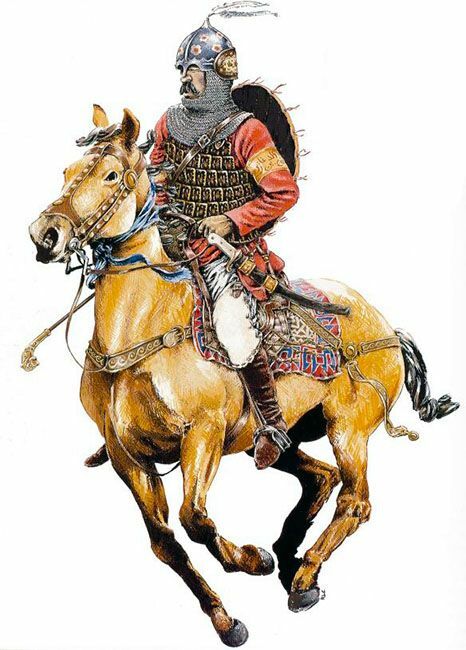 For a Central Asian nomad, warfare was simply an aspect of normal life to which the techniques used in hunting were adapted, with little change. 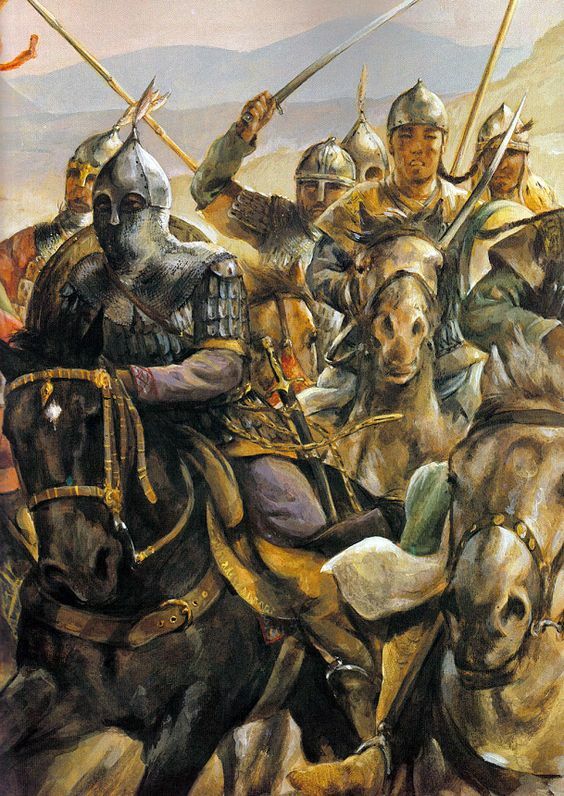 A steppe nomad would hope for plunder from battle, but he would not expect a salary; and even after the Saljūqs had established their standing army, the tribal levy could still be called on for an individual campaign if greater numbers of troops were needed. It was not only in military affairs that the Saljūqs speedily found that what had served them adequately in a different environment would not suffice when they had become the rulers of a great settled state. They discovered that they could not do without the services of the existing Persian bureaucracy. Toghril Beg’s administration had been headed by a Persian wazīr (chief minister), al-Kundurī. He had had the misfortune to back one of the unsuccessful candidates for the throne after the death of Toghril in 455/1063, and his fall from power duly followed. His successor, perhaps the major figure in Persian history in the whole of this period, was Niẓām al-Mulk, who remained wazīr until almost the end of the reign of Alp Arslan’s son, Malikshāh. During Niẓām al-Mulk’s time in office an administrative framework was set up on Persian lines. This was of lasting importance, for in its essentials Persian government for many centuries followed the pattern established before and during the Saljūq period. Fortunately for the historian, much may be learned about Niẓām al-Mulk’s approach to government from a treatise of his that has survived: the Siyāsat-nāma, the “Book of Government”. This work has much in common with a notable genre of Islamic, and particularly Persian, political writing known as “Mirrors for Princes”. It consists of advice to the ruler about how the government was, and should be, run, with a strong ethical emphasis on the necessity of justice and right religion in the ruler. The advice is illustrated by appropriate anecdotes from the Islamic and, in the case of Persia, the pre-Islamic past. Certain heroes who are remembered as paragons of good and just government make numerous appearances in these anecdotes. From the Islamic period, Maḥmūd of Ghazna is especially prominent as, for the pre-Islamic period, is the great Sasanian shāh Khusraw Anushirvan. As illustrations of Niẓām al-Mulk’s points, the anecdotes serve admirably: this, after all, was their intended purpose. The difficulty arises over whether or not it is possible to use them as historical evidence, not for the Saljūq period but for the periods to which the stories refer. The temptation, for example, to give some credence to Niẓām al-Mulk’s account of Mazdak and his subversive heresy is a strong one, for we are given a good deal of fascinating detail, and sources actually deriving from the Sasanian period are very scant. Nevertheless, while some of the material may well be accurate, it is impossible to tell what, or how much. What we can say – and this is in itself of some interest – is that we have in the Siyāsat-nāma, among other things, an impression of what was known and believed about the past in educated Persian circles at the end of the eleventh century. A further point which the Siyāsat-nāma’s anecdotes serve to emphasize is the extent to which the approach to government typified by Niẓām al-Mulk and the Persian bureaucracy of his day was influenced not only by Islamic models, but also by what were thought to have been the administrative traditions of pre-Islamic Persia.